London's famous black cabs are getting a boost from the city's mayor in their battle with Uber. Sadiq Khan swooped in with a series of measures on Tuesday to help their business, while announcing yet another speed bump for Uber to navigate. Black cabs will be allowed to use more lanes usually restricted to buses and more areas will be set aside for them to wait for customers. Additionally, the city is setting aside 65 million pounds ($86 million) to help black cabs go green. It's offering drivers -- or "cabbies" -- grants worth as much as 5,000 pounds ($6,600) to upgrade to cleaner vehicles. Khan said he wanted to protect "the future of our iconic black cabs that provide a unique and invaluable service for Londoners." Black cab numbers have been declining since hitting a recent peak in 2011-2012. Since then so-called "private hire" cars have been flourishing and now outnumber black cabs by nearly four to one. 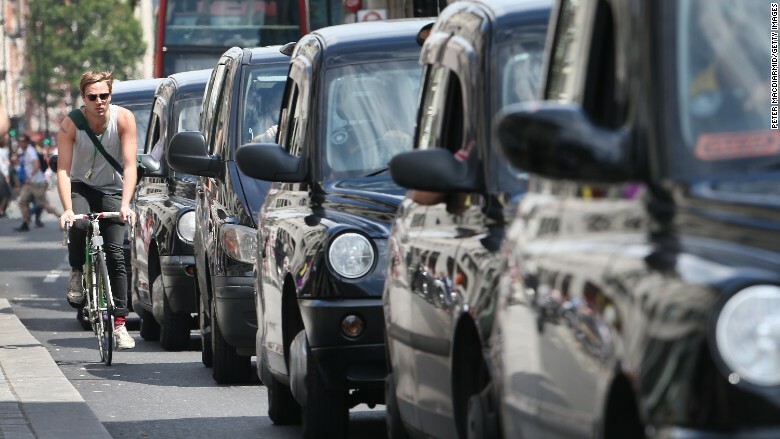 Uber's growing dominance in London has led to a series of protests by black cab drivers. But the disruptive taxi-hailing service may find life tougher in future. Drivers of "private hire" cars will soon have to take an "advanced driving test" to get licensed, according to city authorities. That's in addition to rules the city previously announced requiring those drivers to take an English language test. 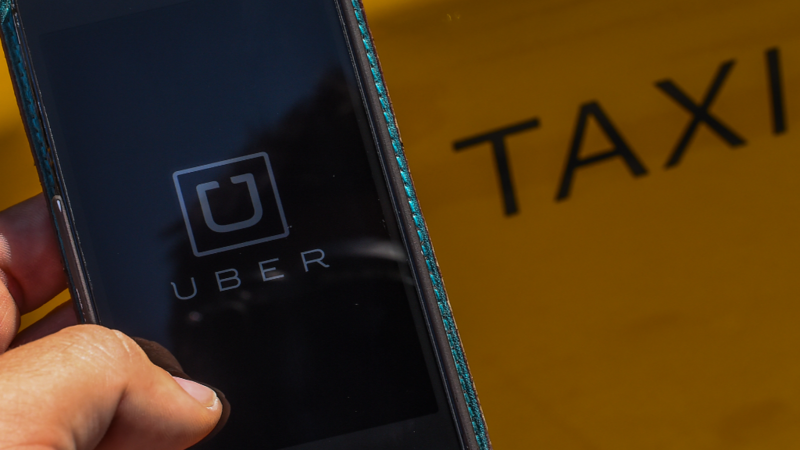 "While black cabs will get 65 million pounds from the taxpayer, the mayor is piling extra costs and red tape onto licensed private hire drivers," said Tom Elvidge, general manager of Uber in London. "This plan will cost drivers who use Uber hundreds of pounds and thousands may lose their livelihoods as a result. " Black cabs in London are outnumbered by so-called "private hire" cars that work for firms like Uber and Addison Lee. Further details about the advanced driving test are still being developed.